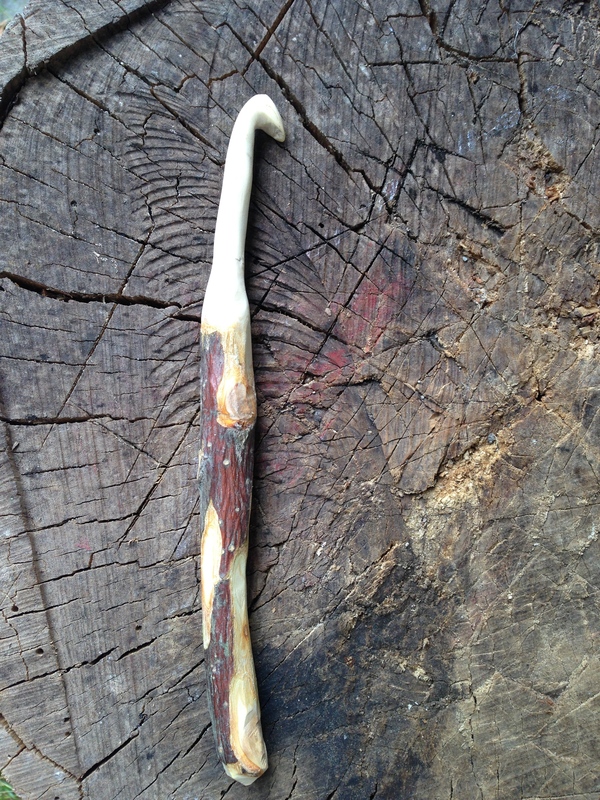 Twig + Knife = crochet hook. So what was most fun to make? The hook or the square? Both. My conclusion is that one craft leads to another! 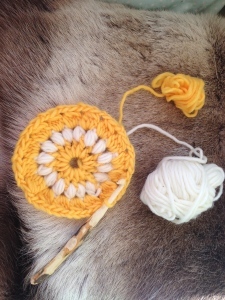 Maybe there will be more hand made crochet hooks in the future. 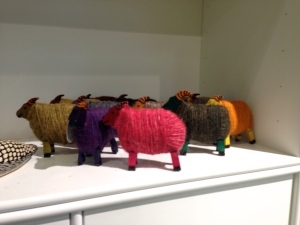 The worlds best airport – for knitters! I always bring some knitting when I travel. Normally it is a small project like a neck warmer or some socks. If I´m on a long distance flight it is handy to have something to do when I have read the airline magazine, eaten and flicked trough the entertainment. It feels like home to watch a movie and do some knitting! Sometimes when a flight is delayed it takes the irritation out of the situation to knit a bit. Even if you arrive at your destination too late you can at least have a new sock or two! I find most airport knitter friendly. You can sit and knit everywhere. But some airports are more knitter friendly than other. My number one is Keflavik Airport in Iceland. You might ask what makes this airport better than other airports? Keep on reading! 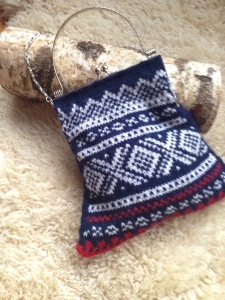 Ther e is lovely hand knit sweaters to admire in the shops. 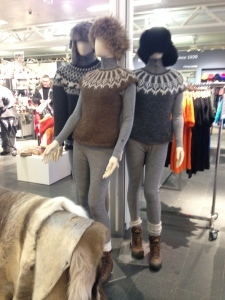 They are hand knit in Icelandic wool. It is a small airport so you don´t get feel stressed out or bumped into when you walk around in your own world looking at the sweaters. I love the Icelandic round yoke and Keflavik Airport is a place for inspiration! There are many lovely things to look at and the shops stock hand made goods from Iceland along with what you expect to find at airports. 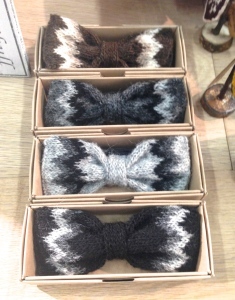 I love the wooly sheep and the hand knit bow tie! As if this wasn’t enough they sell yarn! 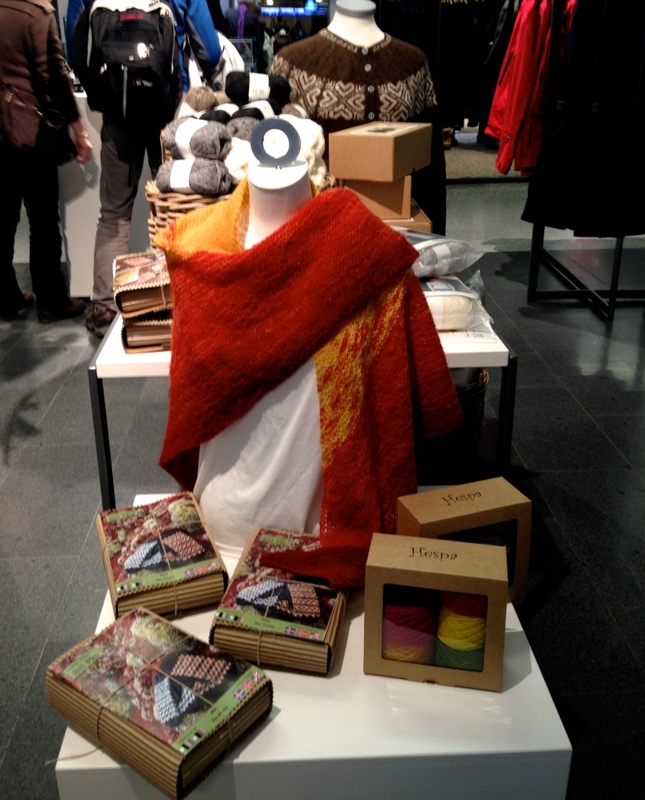 They sell knitting needles and they sell beautiful shawl kits! 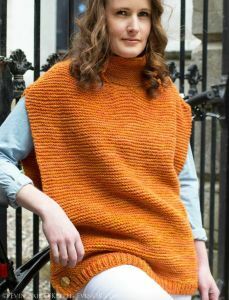 I would love to hear from you about your favourite knitting friendly airport! What to do this weekend? Bake Knit Sew! 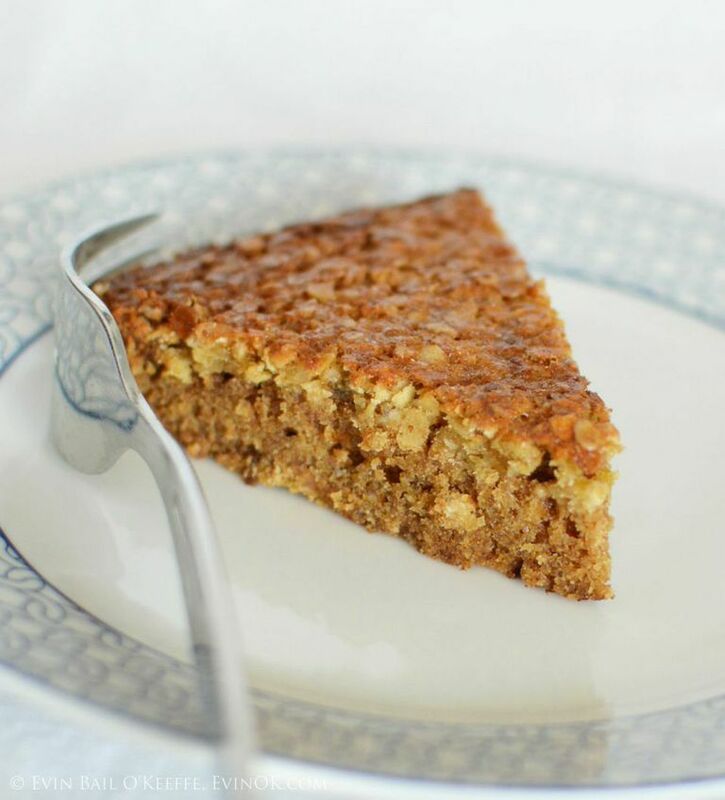 Bake the Mugwamp Oatmeal Pie (not just for the great name), it taste great. It is the only recipe form the book I have had time to try since I just got back for the US. That is another aspect I love about the book Bake Knit Sew – the recipes have that lovely American richness about them. Next step, make a cup of tea and cast on for the Sugar Maple Vest. The book explains absolutely everything you need to know to make this beautiful vest. 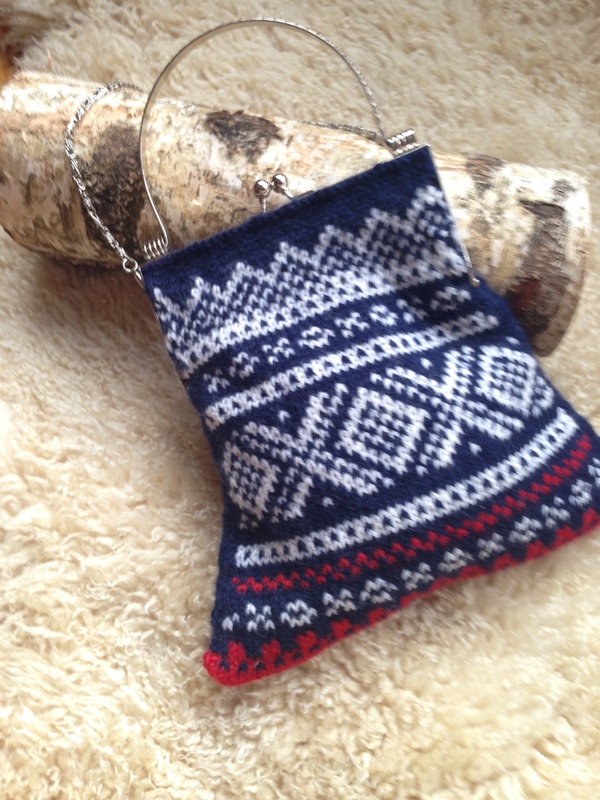 Sit back and enjoy some knitting, tea and flick trough Bake Knit Sew on your tablet. You will find a lot of good recipes and wonderful things you can make at home. I will make the bunting for Christmas and One of the great thing abut the book is that all projects either in the kitchen, by the sewing machine or in your favourite craft nook, seems to be easy and achievable within a weekend or so. When the weekend comes along I want to sit dow and relax, but also be creative. I do not want to start something complicated that is half finished on Sunday evening. 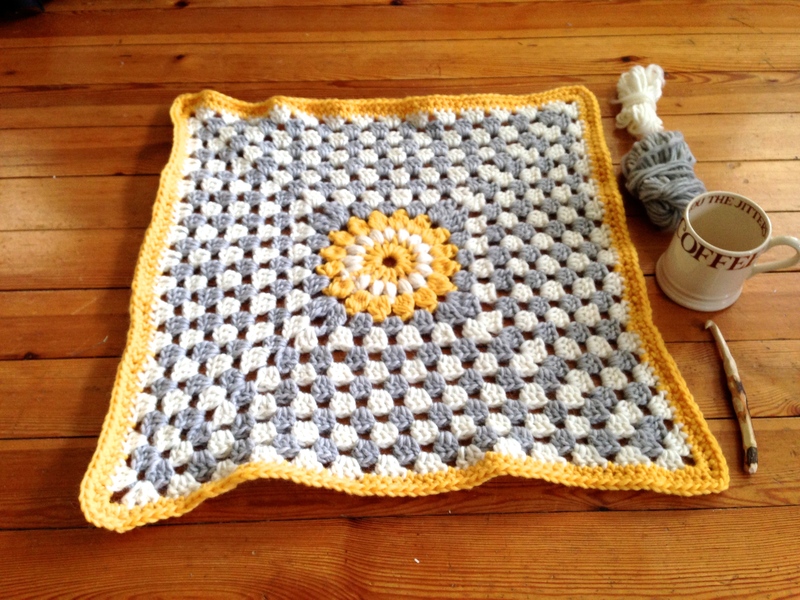 I want to feel a sense of achievement and that is where Bake Knit Sew will come in very handy! The photos in the book are great and transported me into a calm and creative corner of the world where I love to be! Thank you Evin. 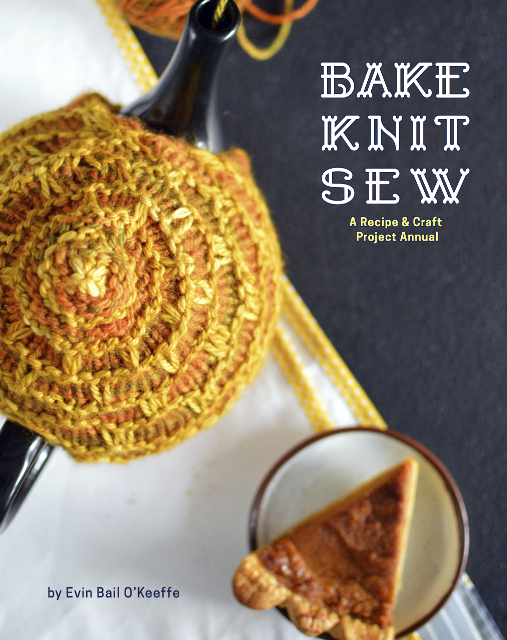 Bake Knit Sew eBook edition is available exclusively through Ravelry, while the paperback edition can be purchased by Anchor and Bee directly! Enter the passcode BLOGTOUR for 10% your entire purchase! If you like me love the simple and personal style of Evin you will enjoy the book as well as her award winning blog EvinOK. You can also find her here: Evin on Ravelry, Evin on Facebook, Evin on Twitter. I just came back home to Norway after a wonderful tour in the US. The real treat of a trip like the one I did is the people I got to meet, all of them. A conversation starting over yarn and needles can end up anywhere. 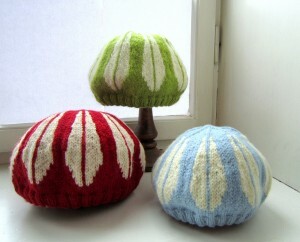 I have been to yarn stores and other venues signing Knit Nordic and sharing some of my designs available on Ravelry. Maurice loved the attention he got at Fibre Space in Alexandria, VA. Personally the most exciting part of the trip was my visit to Minnesota and Iowa. It was the first time I visited this part of the US, and I know I am not the first Norwegian to do so! 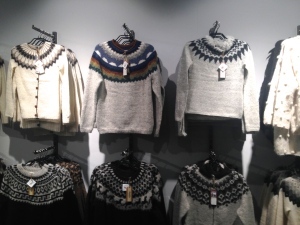 I saw several Setesdal cardigans in the hotel lobby on my night of arrival! All the descendants of Norwegian immigrants seems to have nurtured their cultural heritage well – and even better than we have here in Norway on might say. I did a trunk show at a lovely yarn store in Northfield, MN. 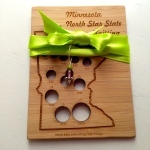 Northfield Yarn is a treat to the community and I had such a lovely evening and got a lovely knitting nee dle gauge that will always remind me of Vanessa and the other great people I meet. 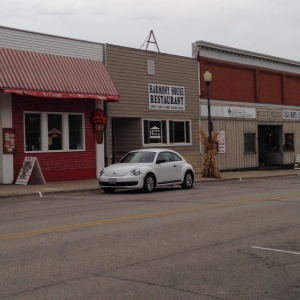 From Northfield I drove to Iowa and the town of Decorah which hosts the Norwegian American Museum, Vesterheim, and has done so since the 1880s! Again, I was taken by how much of the Norwegian heritage is still alive and cherished. The Museum is so much more than a collection of old artefacts. While I was there they has Knit-In with interesting talks and people to meet. There were classes goin g on everywhere and the program they have made me want to move there right away! 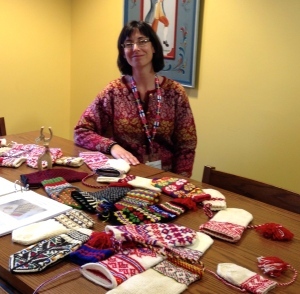 I listened to Laura Ricketts very interesting talk on Sami Mittens. She is documenting and sharing a part of my cultural heritage we don´t talk much about in Norway. 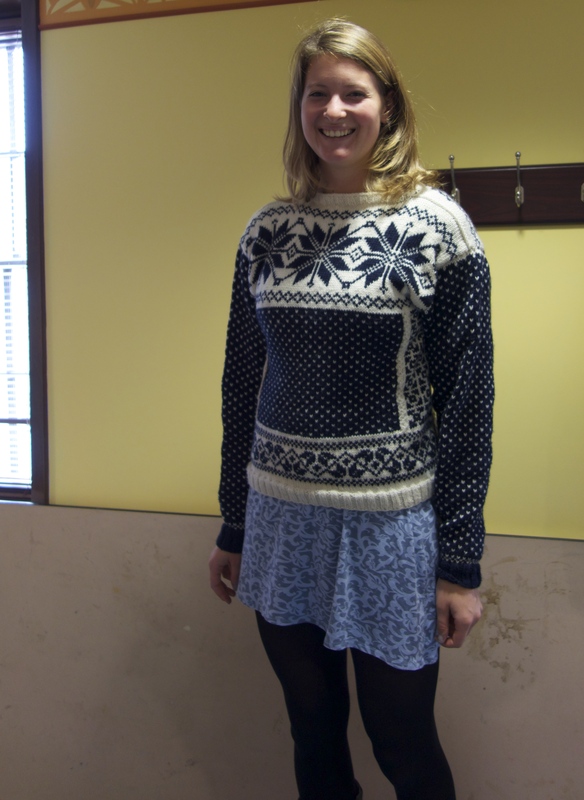 There is very little interest in Sami culture in Norway so Laura is a very important keeper of history and skills. Do I have to say that she also is a very lovely and interesting person! My talk at Vesterheim was on the history of knitting in Norway, Iceland and the Faroe Islands, how they are connected and how they have developed separately. I was delighted to meet Anna Burke, a young student at Luther Collage who had designed a beautiful sweater based on traditional Norwegian patterns. She has a future in knitting design if she choose to! My weekend at Vesterheim Museum was such a treat and I also had the opportunity to look some of the items in the archive. I think I will leave that to another blogpost! The trip to the mid-west was a great opportunity to explore a bit too. My rental car was a white Beetle and the two of us had a jolly good adventure! I am going to knit my way through the US! Yarn and needles are packed, passport and tickets are ready and I am off the America to meet fellow knitters and have some fun! Northfield Yarn, Northfield, MN from 5:30 to 7:30 pm. 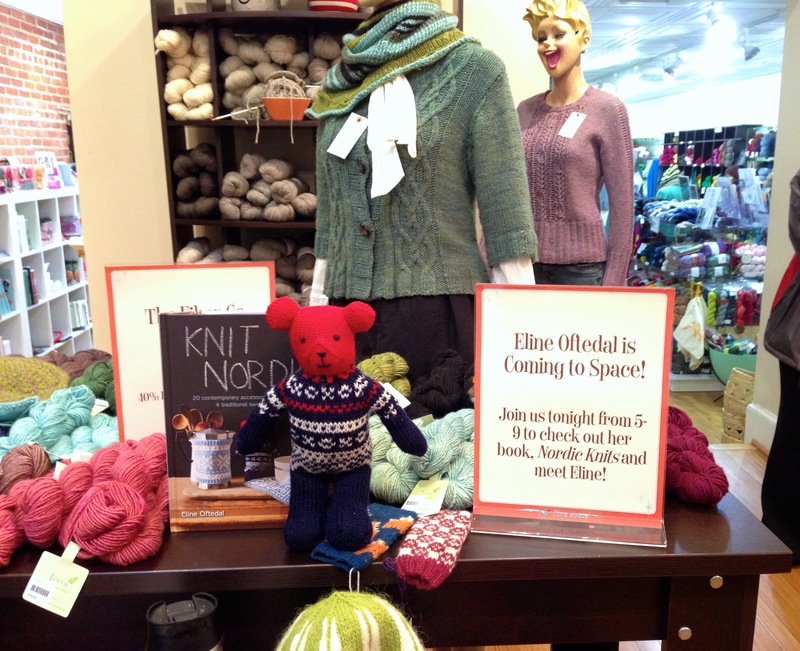 I will host a trunk show and sign my book “Knit Nordic” as well as being around for a good chat! Vesterheim Museum, Decorah, Iowa from 2:00 pm to 4:pm I will speak on “North Atlantic Knitting History” and sign my book “Knit Nordic”. You can start knitting the Lotus Hat and I will give you advice if you like. My talk is part of a very interesting weekend program called Knit-In and there are other interesting talks to listen too as well. Contact Laurann Gilbertson (lgilbertson@vesterheim.org, 563-382-9681). Pre-registration is preferred. Specify one day (and which) or two days when you register. Textile Center of Minnesota, Minneapolis from 6:00 to 8:30 pm. I will teach a class on Colour Confidence in Stranded Knitting. Register by email to classes@ingebretsens.com or call 612-729-9333. Fiberspace in Alexandria, VA from 5:00 to 9:pm. 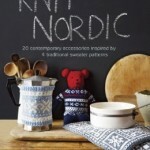 I will host a trunk show and sign my book “Knit Nordic”. I will bring lots of projects you can find the patterns for in my Ravelry store and I will be there to chat with you on choice of yarn, colours and what ever is on your mind! 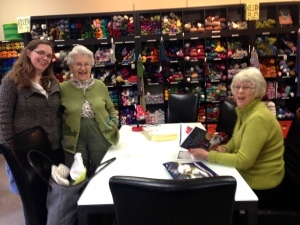 The program is not complete yet so check in again to see where we can meet for a knitting chat!